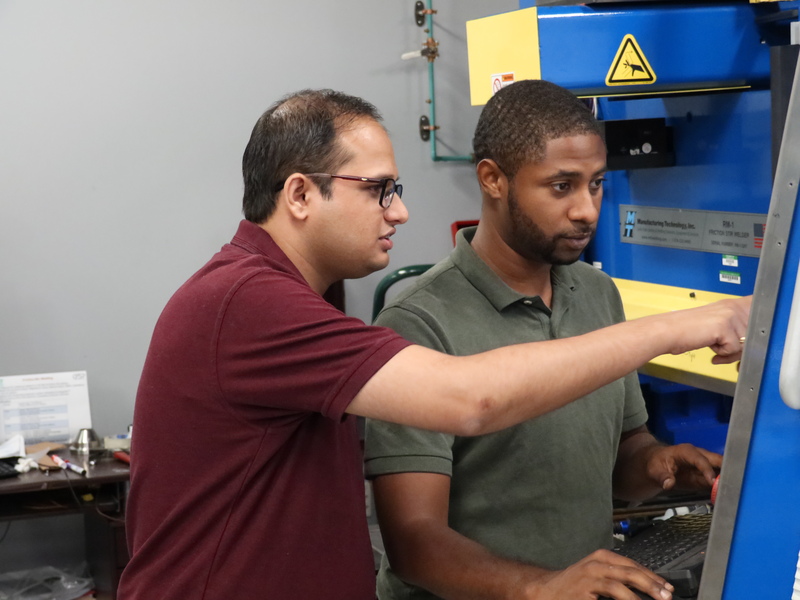 Under the guidance of UNT professor Rajiv Mishra, Saurabh Nene, a research associate with the Center for Friction Stir Processing, has been working with the UNT College of Engineering Department of Materials Science and Engineering to give the metal its unique yield strength. Nene created the alloy by combining iron, manganese, cobalt, chromium and silicon through induction melting, casting and Friction Stir Processing. “The process changes the properties of a metal through intense deformation caused by forcibly inserting a rotating tool into the cold metal. This process not only refines but also homogenizes the microstructure leading to enhanced tensile and yield strength,” said Nene. Cobalt alloys are already used in the aerospace industry. Nene, however, believes he can make even stronger alloys by using other elements with unique characteristics. But, there is a price. Nene further added that this work would not be possible without the help and support of his lab colleagues, Michael Frank and Kaimiao Liu, along with Brandon McWilliams and Kyu Cho of the U.S. Army Research Laboratory in Maryland. The paper, “Extremely high strength and work hardening ability in a metastable high entropy alloy,” was published in the July 2 edition of Nature’s Scientific Reports. Nene also published a related paper called “Enhanced strength and ductility in a friction stir processing engineered dual phase high entropy alloy” in the November 2017 issue.